Campbell Soup Diary: Instagram Birthday GIVEAWAY! 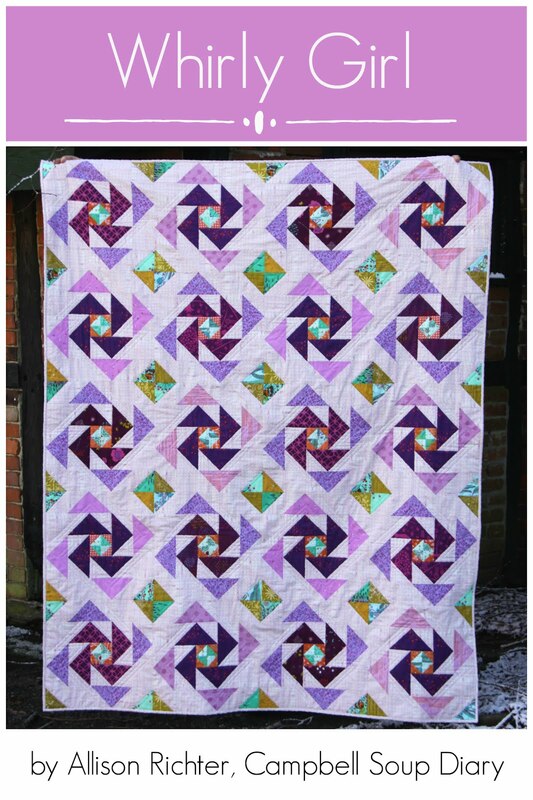 It's really not intentional, but somehow my quilt pattern releases seem to line up perfectly timed with my birthday. Even though it's no special number this year, it's still fun to explain to people that I've been 35 for 11 years now... so, you wanna celebrate big with me? To participate in the giveaway then just pop on over to my Instagram page for a chance to win a 3" x 6" Flying Geese ruler from Bloc Loc PLUS a copy of my latest pattern, Whirly Girl! When I approach a company about sponsoring a giveaway, for me it's about endorsing products that I actually use and am passionate about. I think I've shared before about my general dislike of HST's (half square triangles)... until a friend introduced me to Bloc Loc rulers. Talk about a game changer!?! 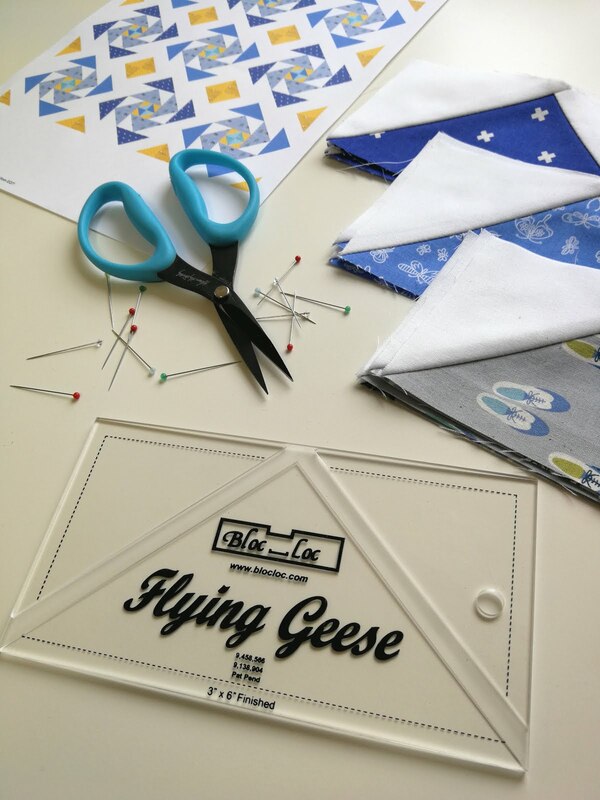 So, I was really excited to hear that they also offer a ruler for Flying Geese. ... and since Whirly Girl has so many Flying Geese units, I thought it would be a perfect pair up for a giveaway. 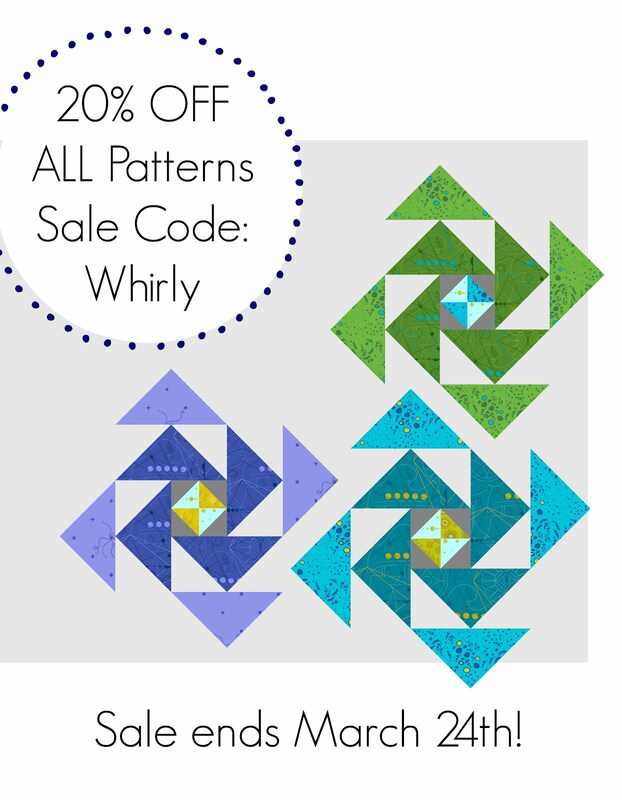 Remember that my 20% discount in my entire Payhip shop ends on Sunday, March 24th (GMT+1)... just end the Sale Code: Whirly. Happy 35+11 Birthday, Allison! Have a wonderful, happy day! Happy Birthday! It's my brother's birthday, too, although he's a tad older. I love your pattern - the colors you've used in the samples make it so inviting. Whirly Girl Release + Shop SALE!